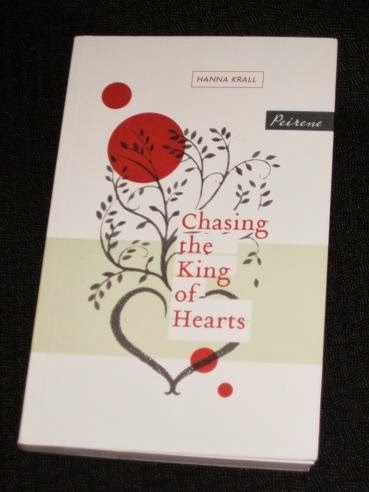 Hanna Krall’s Chasing the King of Hearts (translated by Philip Boehm, review copy courtesy of the publisher) is mainly set in Poland during the last few years of the Second World War. Izolda is a Polish Jew living in the Warsaw Ghetto, and with the writing on the wall, she decides that it’s time to start thinking about escape. On the very first page of the book, she meets fellow Jew Shayek, quickly falling in love with (then marrying) him, and this love is the catalyst for the events which follow. Even when matters do become a little more emotionally charged, the next section usually sweeps those feelings away – there’s no time to dwell on the past here. The title comes from the fortune-telling Izolda has an acquaintance do for her using a normal set of playing cards. Shayek is the King of Hearts (Izolda, naturally is the Queen), and the chase takes place both within the deck and all across Europe, as Izolda does her best to keep tabs on her husband, hoping to alleviate his suffering and reunite with him one day. In the process, she shows herself to be a formidable woman, brave, resourceful and inventive, someone who can always find a way to do the impossible. “Her suffering is worse, because she is worse. That’s what the whole world thinks, and the whole world can’t be wrong when it comes to a sense of good and bad, or rather, better and worse. sounds like another Peirene success.